I just got on Dmania and it's lot of fun. 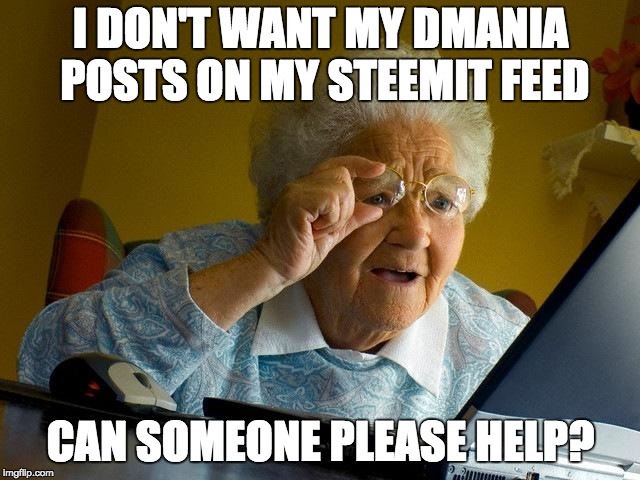 But I really don't want my Dmania feed to appear on Steemit. Is there a way out from preventing autoposts? I searched on google, I searched here and I cannot find answers. I'm hoping some wizkid will help me on this one! Someone can correct me if I'm wrong, but I don't think there is a way to do that. Any of the other platforms that use the Steem blockchain like Dmania, Dtube, or Steepshot all end up posting on your main steemit.com profile and the main feed. ye looks like it. It's sad in many ways coz that's probably why we have a bit of spamming here. We should have more control over our feed I suppose. Hope you doing well! lol that's true. But you dont want to bombard your feed with them. I'd like to just sit and create them and post it just on Dmania...but if it comes here, then u r basically sort of spamming ur own feed. Don't you think?